James Granger, the late David L. Bond, and the late John Otis Williams organized The Soul Converters in 1960. In keeping with family tradition, three of John’s brothers are current members of The Soul Converters. The original name of the group was The Converters, but a former booking agent recognized their soul inspiring singing and changed the name to Soul Converters. 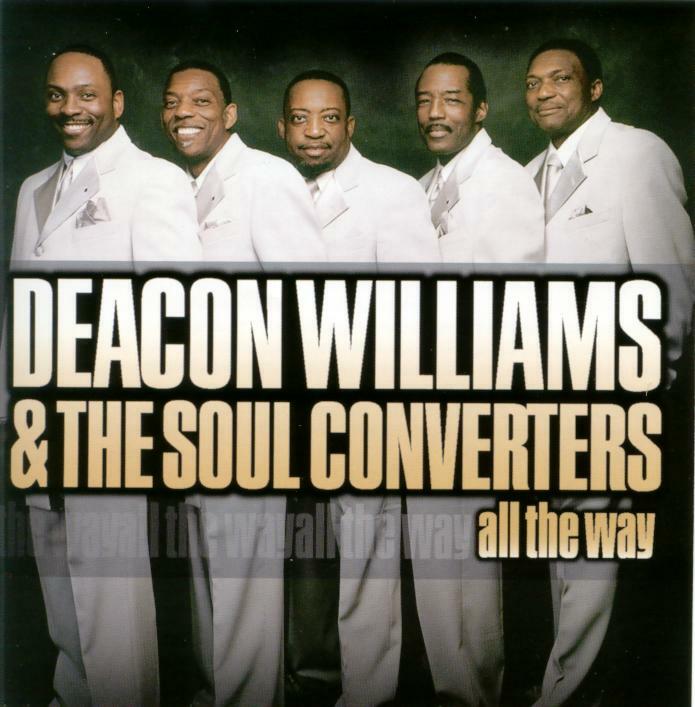 In later years, the group became known as Deacon Williams and The Soul Converters. D.C., Pennsylvania, Connecticut, North and South Carolina, Delaware, and New York. The group continues to sing songs of the traditional and soul stirring gospel music that has made them famous to their families, friends, and especially their fans. Some of their hit songs include: He Touched Me, Never Too Late, Can’t Stop Serving You, Trust Him, Dear Lord, and Just As I Am. This group has graced the stages with some of gospel music’s greatest artists, such as The Mighty Clouds of Joy, The Dixie Hummingbirds Shirley Caesar, Willie Neal Johnson and The Gospel Keynotes and many, many, more. The Soul converters continue to perform with their unique style of singing God’s praises. As you listen to the songs on this CD. I hope they will continue to inspire you as the songs of the past. As you listen to Deacon Williams sing, “Feel A Shout Coming On”, “All The Way” and his brother James singing “Too Hard For Man”, and ” Can’t Win” you will see how this group has touched so many lives. Elmer Phillips, Lovell Roscoe, Matthew Taylor and Randy Stallings. I hope that as you listen to these songs; the traditional gospel music you remember will be brought back to life again.